All Spring Point Project pigs are maintained in a barrier and procedures for the barrier facility include the sanitation and sterilization of all supplies and equipment entering the barrier, ongoing environmental monitoring and filtering of air. Personnel are required to shower in/shower out of the barrier, wear protective clothing and undergo extensive diagnostic screening. Animals are fed a diet of irradiated feed free of mammalian products, provided filtered drinking water and are continually monitored for infectious agents. The health monitoring program is complemented by a comprehensive pathology program that tests for an array of pathogens. 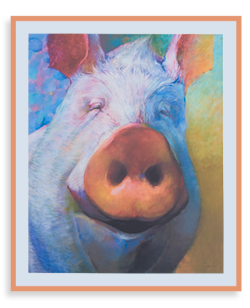 We are uniquely positioned to use the wealth of information derived from our health screening and sentinel diagnostic monitoring program to supply DPF swine for use in clinical applications. The Spring Point progenitor pig (Abraham) was selected for a greater probability of being a high islet yielder. The first population of piglets was born into the facility by caesarean section in 2007 and the population was completed in November 2007. The first clinically suitable (second generation) animals were born into the facility in April 2008. The Spring Point Project herd is closed and has generated multiple subsequent generations of animals raised in the barrier. The Spring Point pig population has been demonstrated to be free of human transmissible porcine endogenous retrovirus. Spring Point Project’s team has vast experience and knowledge working with swine and is committed to setting high quality standards in animal care and ensuring that these standards are maintained. Animal welfare, handling and housing are in full compliance with guidelines and regulations allowing for certification from the United States Department of Agriculture (USDA) and full accreditation from the Association for Assessment and Accreditation of Laboratory Animal Care (AAALAC). An Institutional Animal Care and Use Committee (IACUC) oversees the Program of Animal Care to ensure that the procedures are consistent with regulations regarding the proper care, use and humane treatment of animals. Spring Point Project’s team has experience manufacturing pigs, pig products and materials, including islets, under the current Good Manufacturing Practices (cGMP) required by U.S. Food and Drug Administration regulations.